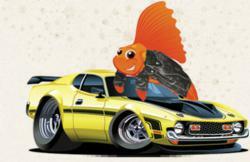 RoadFish.com men’s lifestyle and finance magazine remarks on how social security may be impacted by student loans. Action needs to be taken to address this issue, otherwise we will be seeing more and more senior citizens struggling to make ends meet and possibly falling under the poverty line. RoadFish.com men’s lifestyle and finance magazine released their observations regarding the federal government withholding social security due to unpaid student loans, which has increased massively in the past eight months. Their take on this may help consumers by spreading the word, and by encouraging federal officials to address the problem. According to the Wall Street Journal’s Market Watch, who received its data from the U.S. Treasury Department, the federal government has begun withholding money from those Social Security recipients who have fallen behind on payments to their student loans. The article states that in eight months, the government held back money from nearly 115,000 retirees’ Social Security checks due to unpaid loans. To offer some perspective, Market Watch pointed out that back in 2000, there were only six occurrences of such a thing. Student loan debt is a big issue within the U.S. right now, for college grads and for senior citizens alike. According to American Student Assistance, a non-profit company who works with borrowers for student loan help, stated that in the 2007-2008 school year, $17 billion was handed out in private student loans, marking an increase of a whopping 592% from just ten years earlier. And from 2001 to 2007, the average debt per student loan borrower jumped from $19,300 to $22,700—an increase of 18% in just seven years. The U.S. Social Security system is protected by the Social Security Act of 1935, and has been amended to include social welfare and social insurance programs. The program is speculated to currently be keeping about 40% of all senior citizens in America (people who are 65 years old or older) out of poverty, and is one of the largest government programs in the world. It pays out more than even Medicare and Medicaid. Senior citizens rely on Social Security checks once they are without an income for things like food, shelter, and medication. According to the Employee Benefit Research Institution, as quoted in the above-mentioned Market Watch article, about 45% of Americans who are between the ages of 48 and 64 years old will not save enough money before retirement to cover basic needs and health care costs beyond their insurance coverage. RoadFish.com men’s lifestyle and finance magazine today commented on the federal government’s cuts into Social Security over outstanding student loan debt. This action could pose a significant threat to retirees’ personal finances and well-being. RoadFish.com is a popular online men's magazine which deals with subjects of lifestyle, personal finance, travel, and current events. RoadFish.com readers tend to be men in their 30's and 40's, most of whom have already achieved personal and professional success and are striving towards a bigger goal. RoadFish.com men’s lifestyle and finance magazine features articles about men's luxury items, hot chicks, divorce tips, food and hotel reviews, and tips on how to save and make money. It is owned and operated by Purpose Inc.